You’re tired of delaying happiness, doubting your decisions and being in a constant state of overwhelm (like I was). You want to find a consistent level of happiness, become more confident in your desires and stop being so easily influenced by the people around you (like I wanted). You need someone to help you to become more positive and assertive, so that you’re honest about what it is that you truly want and how you can go after it with confidence (like I did). I’m Susanna Newsonen, the Happyologist, and my mission is to make happiness happen for you. I want to teach you to unlock your happiness from within so it can fuel your success and fulfilment in your career, relationships and life. I’ve mastered the science of happiness both literally and personally. I left an unhappy corporate life to complete a Masters of Science in Applied Positive Psychology and to become a qualified life coach. I quit pessimistic thinking and trained myself to become an optimist. Along the way, I coined the title ‘Happyologist’ for myself, because it describes exactly what I do. Much like a personal trainer helps their clients to create stronger and fitter bodies so they can reach their health goals, I help my clients to create happier, more productive and more creative minds so they can reach their life and career goals. After all, it’s happiness that fuels success, not success that fuels happiness (and science has proved that!). How am I different from other life coaches? I am specialised in happiness – and isn’t that the ultimate life goal? Click here to learn more about my coaching. I’m a Swedish born Finnish national raised all around the world. This has resulted in quite a mix mash personality: think Finnish introvert + Brazilian spirit + Swedish cosiness + German efficiency + Dutch directness! Today I’m based in London, England, where I enjoy getting the best of the city’s vibrancy. I’m also a competitive dressage rider aiming for the Olympics with my spirited horse Mickey, and I’m probably one of the most puppy obsessed people you will come across. I’m a yoga addict even though I can’t reach my toes in a forward bend, and I love to laugh out loud with my bestest friends (which includes my amazing mom). Family is number one to me and I always make time to see them (be it by hopping on a plane or buzzing them on FaceTime). I believe intuition is my best guidance and whenever I listen to it, life gives me something crazy good. That’s why I also meditate daily – to stay in touch with my intuition and connect with the incredible sense of gratitude I feel for everything I have. I truly love life. Susanna Newsonen is the one and only Happyologist® – a happiness life coach and keynote speaker. She uses the science of positive psychology to help you to kill your self-doubt, embrace positive thinking, and build a lifestyle you love. She is the author of Happiness is Here and Screw Finding Your Passion. She is a published researcher, a TEDx speaker, an online columnist, and a regular commentator in the media from the BBC to The Huffington Post and more. Her corporate client list ranges across industries, including American Express, BMW, Kellogg’s, Lululemon Athletica and 20th Century Fox Home Entertainment to name a few. 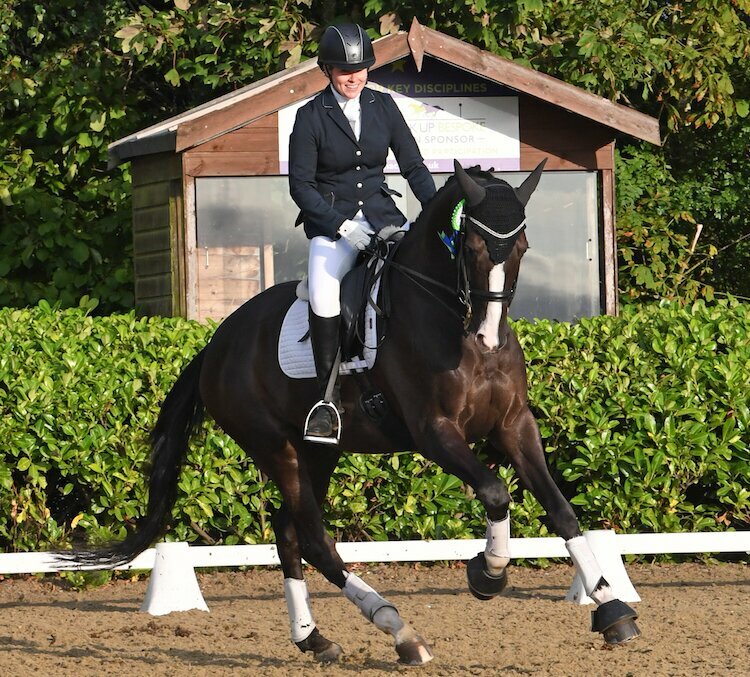 In her free time, she is a competitive dressage rider with Olympic ambitions. She adores dogs and believes we can learn a lot from our four-legged furry friends. She inspires and educates her loyal following through her blog at Happyologist.co.uk. You can follow Susanna on Facebook, Twitter and Instagram for daily doses of inspiration. Click here to see her latest press coverage, filmed talks, and published research. For a full career background, check out her LinkedIn.